Here at Bon Voyage, we think there's nothing quite like a multi-centre break to make the most of your trip to the USA. There are loads of great combinations to choose from and, since we've been organising holidays to the USA and Canada for 30 years, we can give you great advice on everything from where to go and what to see to how to make sure you see plenty without feeling rushed. Chicago and Los Angeles is a particularly good holiday combination, not least because these destinations lie at either end of Route 66 - one of the world's most famous road trips! While you can simply fly from Chicago to LA, it's definitely worth considering travelling by road, if you have time. This way, you can not only visit both destinations, but also tackle one of the best-loved road trips on the planet in the process! 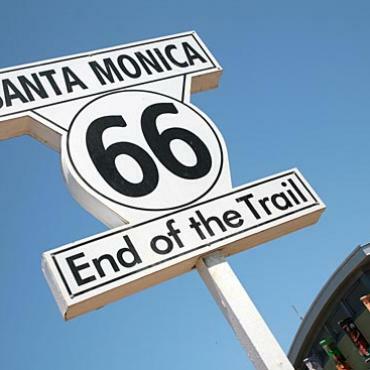 Spanning 2,448 miles, Route 66 has an important place in the nation's history. As well as being one of the country's original highways, it was a major artery during the Dust Bowl of the 1930s, when American citizens migrated west in droves. Now, it is one of the most iconic road trip routes of all time. Beginning in Chicago, the Mother Road winds its way through an incredible eight states and three time zones! 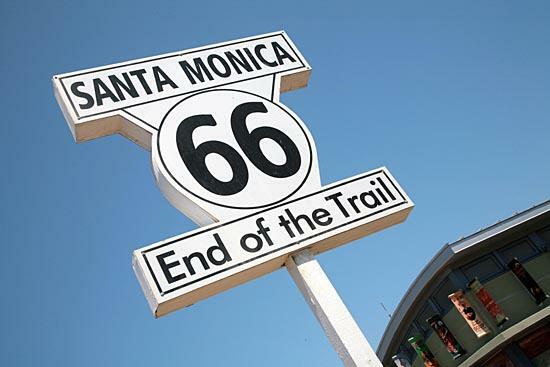 Here at Bon Voyage, we can offer you a detailed Route 66 itinerary from Chicago to Los Angeles, complete with car hire and stops at some of the most exciting towns and cities along the way. Whether you decide to tackle Route 66 or not, you can look forward to having an amazing time in Chicago. Not only does this city have lots of spectacular architecture, but it's home to some beautiful leafy parks, not to mention excellent restaurants and great shopping. So, just what shouldn't you miss while you're here? The Willis Tower: Where else would we start? 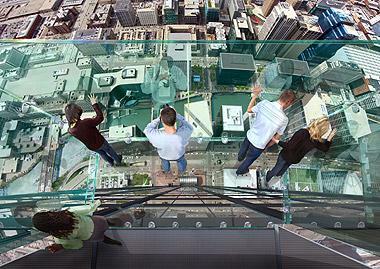 Arguably Chicago's most famous landmark, the Willis Tower (formerly the Sears Tower) is the star of Chicago's skyline. While it looks impressive from ground level, you absolutely must head up to Skydeck, its observatory on the 103rd floor. As well as offering amazing views across the city, it also has bags of information on Chicago and the tower itself. 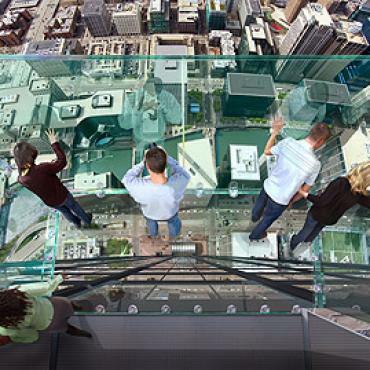 Plus, those who are feeling really brave can step out on to The Ledge - the glass boxes of which stick out some 4.3 ft from the side of the building and give you the chance to stare directly down a 1,353 ft drop! Deep dish pizza: Virtually every holiday destination has at least one local dish that you absolutely must try, and Chicago is no exception. Here, it's Chicago-style pizza - a deep dish version of this Italian classic, whose crust can be up to three inches high! Oozing with chunky tomato sauce and cheese, Chicago-style pizza is great for people with big appetites. 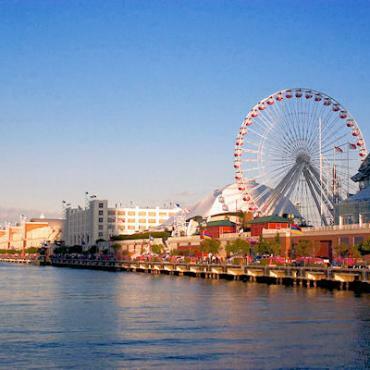 Navy Pier: Spanning 3,300 ft, Navy Pier runs along Lake Michigan's shore and was built all the way back in 1916. 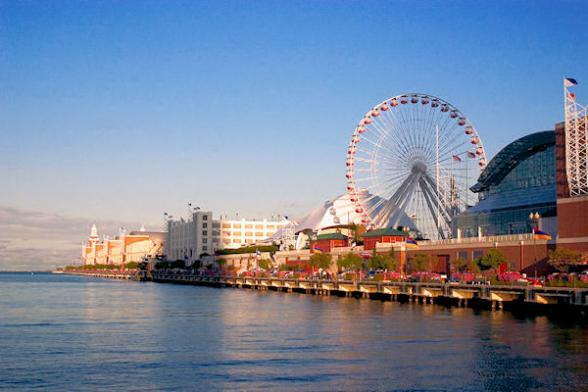 Since then, it's become a major part of the city, and today it's the place to go for Chicago's top attractions - you'll find everything from a ferris wheel and cinema to museums and theatres here. Our tip is to stop by on a Wednesday or Saturday night during the summer, when the sky is lit up by spectacular fireworks displays. Los Angeles is an amazing holiday destination. Home to the glitz and glamour of Hollywood, beautiful beaches and the end of Route 66 (which officially stops at Santa Monica Pier), this region is packed with things to do and see. Here are some of the top things to add to your to-do list. Universal Studios Hollywood: This combined amusement park and movie/TV studio is a must-visit. 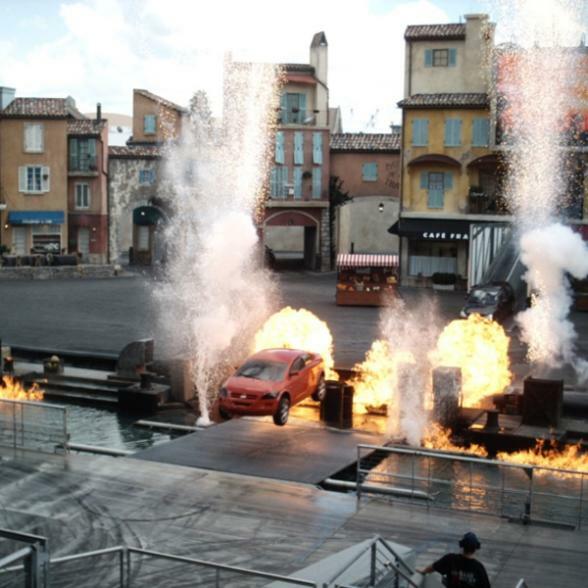 Come here and not only can you get an adrenaline rush on some seriously exciting rides, but also explore real-life film and TV sets. Take the VIP tour to have the best experience. The Hollywood & Highland Center: This complex is one of the best places to get a feel for LA's mix of attractions. Boasting a great view of the Hollywood sign, this destination is packed with brilliant shops and restaurants. So, you can treat yourself to some swish new clothes, dine out in style and check out one of Hollywood's most famous landmarks all in one go. The Griffith Observatory: Having opened in 1935, the Griffith Observatory has since become a famous landmark - and has even featured in films like Rebel Without a Cause. Recently revamped, the observatory is home to one of the most spectacular planetariums you're ever likely to visit, and much more besides. Santa Monica Pier: A historic part of Santa Monica, Santa Monica Pier is roughly 100 years old. 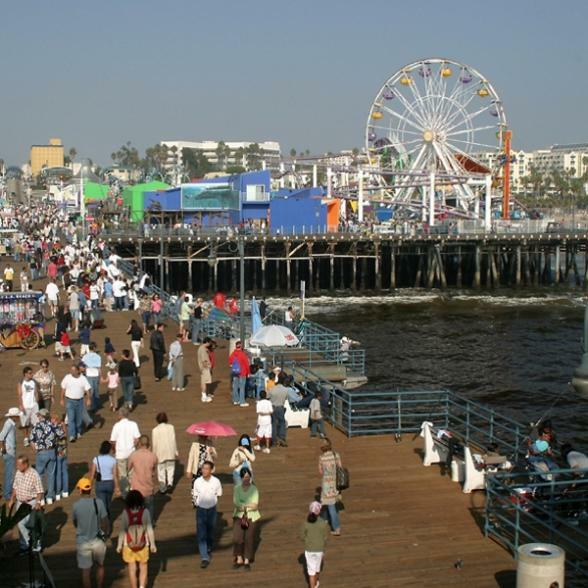 It's also an amazing place to spend the day; as well as hitting the beach, you can check out attractions like the Santa Monica Pier Aquarium, Partyland Arcade and the lovely old carousel. If you can't wait to start planning your holiday to Chicago and LA, give us a call today - you can call free on 0800 316 3012 to speak to one of our friendly experts. 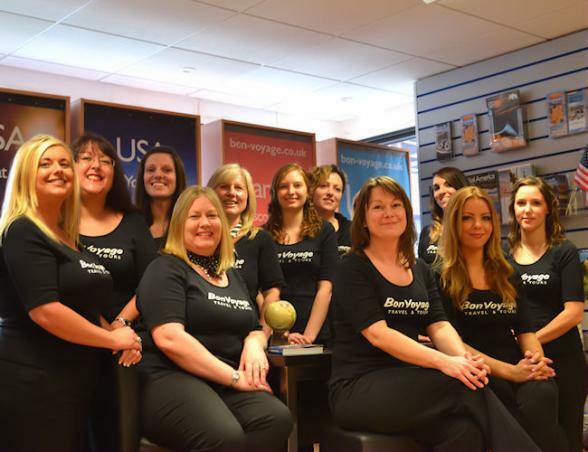 Alternatively, why not ask us to give you a call at a time that suits you? 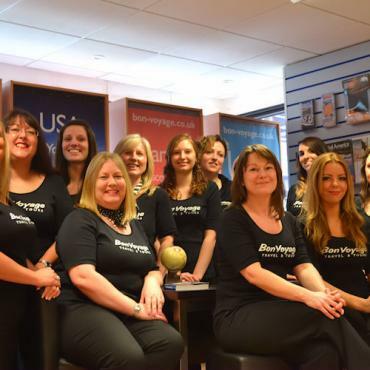 We look forward to helping you plan the trip of a lifetime!